Discover Helsinki independently with the Helsinki Card. The card is a handy, economical way to make the most of your visit in Helsinki. It is a transport ticket and entrance ticket all in one and has a number of great value reductions and bonuses attached. Don't leave home without one! See the sights of Helsinki from the water on a 1.5-hour sightseeing cruise! Relax inside in the lower saloon or out on deck, and admire the beautiful islands that make up Helsinki archipelago. Cruise past top city attractions like the UNESCO-listed Suomenlinna Maritime Fortress and hear about Helsinki’s 16th-century history from the onboard commentary. Free WiFi is available on-board for your comfort. 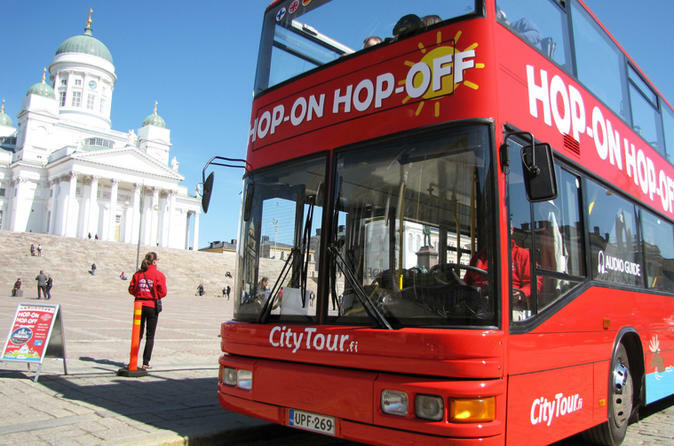 While you’re in port in Helsinki, see the city sights aboard a double-decker, hop-on hop-off bus! Discover top Helsinki attractions on this comprehensive shore excursion, such as Senate Square, Temppeliaukio Church (Rock Church), Helsinki Olympic Stadium, the Swedish Theatre and much more. The buses are open top, allowing 360-degree panoramic views along the route. Hop on and off at any of the 15 stops around Finland’s charismatic capital during 24 hours of sightseeing. 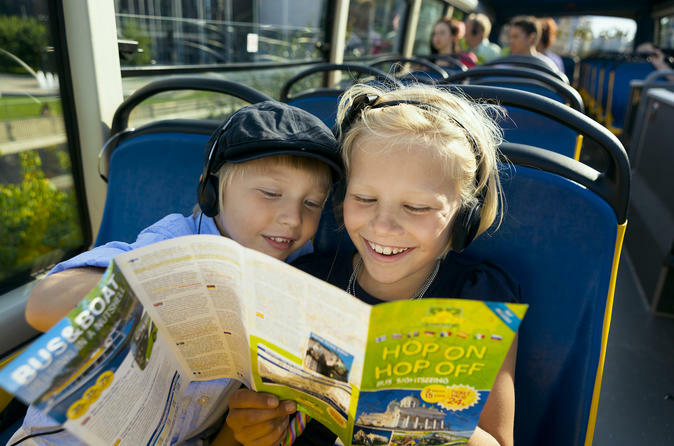 There is no better way to see Helsinki than on a double-decker, hop-on hop-off bus! See top Helsinki attractions on this comprehensive sightseeing tour, such as Senate Square, Helsinki Olympic Stadium, culturally significant Stockmann Department Store, the Swedish Theatre and much more. The buses are open top, allowing 360-degree panoramic views along the route. 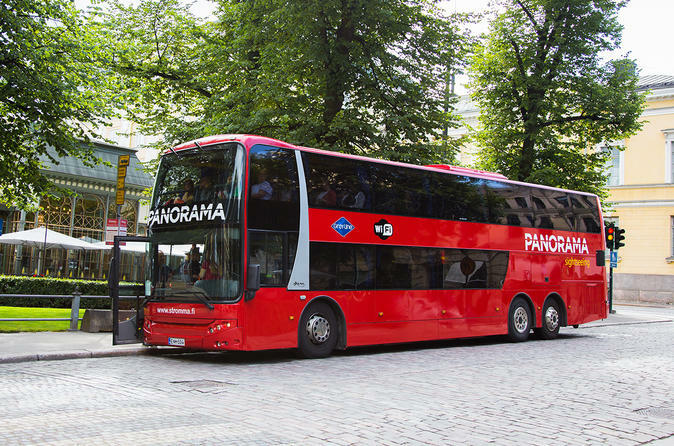 Hop on and off at any of the 15 stops around Finland’s charismatic capital during 24 hours of sightseeing. 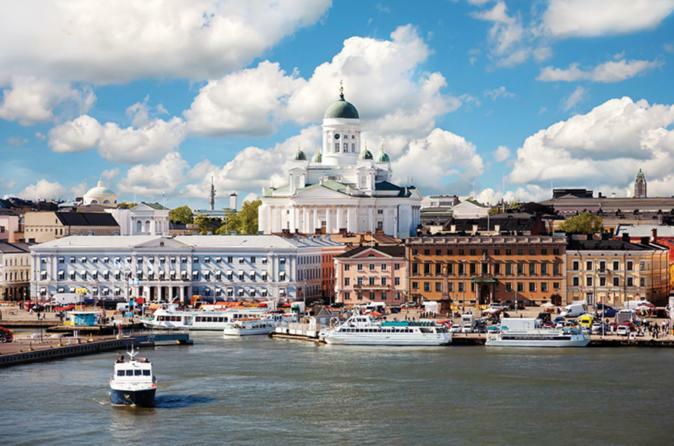 Choose from 10 languages on this Self-guided Helsinki Panorama Sighsteeing. 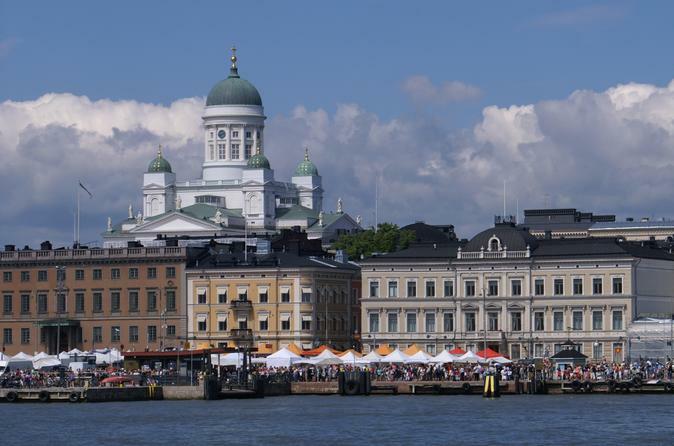 The tour takes in the most interesting parts of Helsinki, such as the historical center with Senate Square, the Presidential Palace, City Hall, the Parliament building, Finlandia Hall and the Opera House. 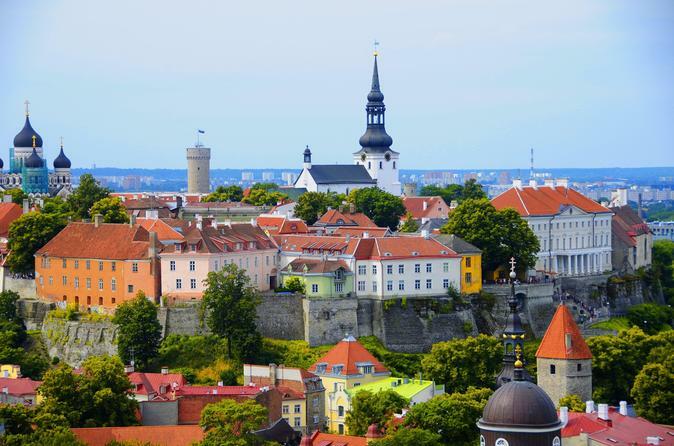 Join this guided day trip to historical Tallinn, the capital of Estonia, for a 6-hour experience crossing from Helsinki. After 2 hours from departure, arrive in Tallinn where your professional guide metts with you to show you the city. During your unique tour, see the main city square and city hall, towers and houses of guilds from Middle Ages, Toompea Castle, Aleksandr Nevsky Cathedral, and Kadriorg Park among more sites. Afterwards, have free time for shopping and . We will take care for all transfers. The tour will finish at your hotel around 10pm. Make the most of your Helsinki visit. Enjoy a comprehensive 4 hour panoramic driving tour of Helsinki City Center with round trip transfers from cruise port. The sightseeing tour lasts 3,5 hours and is followed by a 30 minutes' picturesque walk along the center. You may stay in the city after the tour if you wish or return back to the ship with the group. 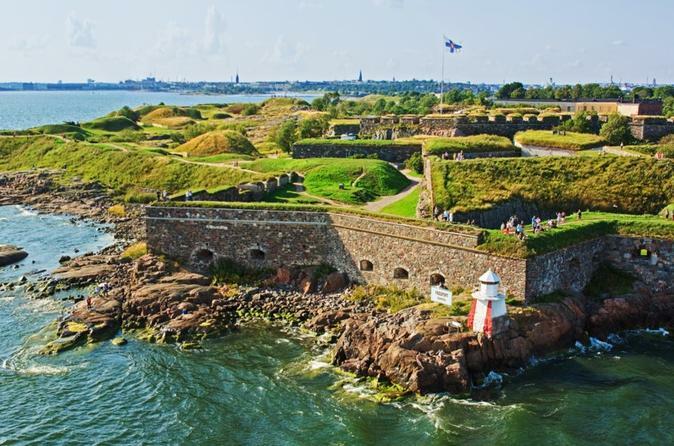 Discover Helsinki and Suomenlinna during this 5-hour tour. 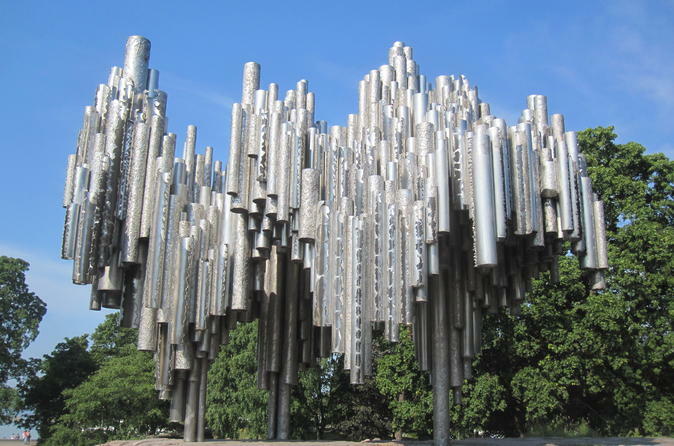 With a professional guide, visit Helsinki's most famous sites, including Sibelius Monument and Esplanade Park. Next, take a ferry to the Suomenlinna Island and continue your walking tour through Kings Gate, Suomenlinna church, and Jetty barracks. Round-trip ferry tickets and pickup from central Helsinki is included. This Helsinki Food Tour is great way to learn about the Finnish traditions through the lens of food experts and enthusiasts. With the help of the food guide, discover hidden treasures and get a real insider's perspective on the rich and diverse food culture, as well as everyday life of Helsinki. 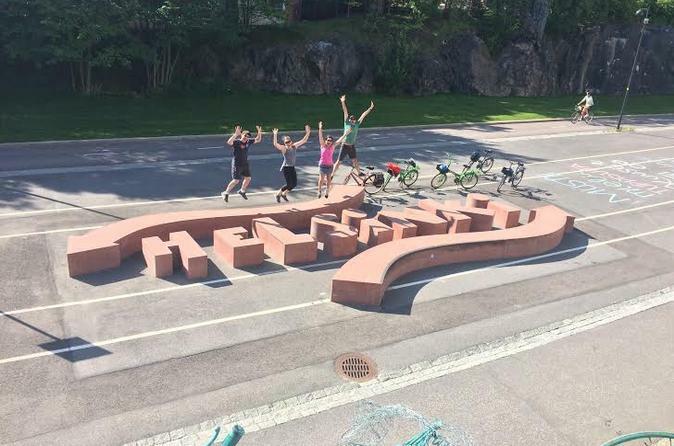 Embark on a 3.5-hour tour by bike within Helsinki. Enjoy an entertaining and easy-going orientation to the major attractions of Helsinki. Visit the market places to meet the local people. Listen to the history of Helsinki through the beautiful and unique architectural mix that only Helsinki can offer. Cycle through the city while sightseeing and shopping. Immerse into the quiet green spaces. This small-group tour includes a local guide, bicycle, helmet and snacks. Discover top attractions in coastal Finland on this 2.5-hour Helsinki walking tour. 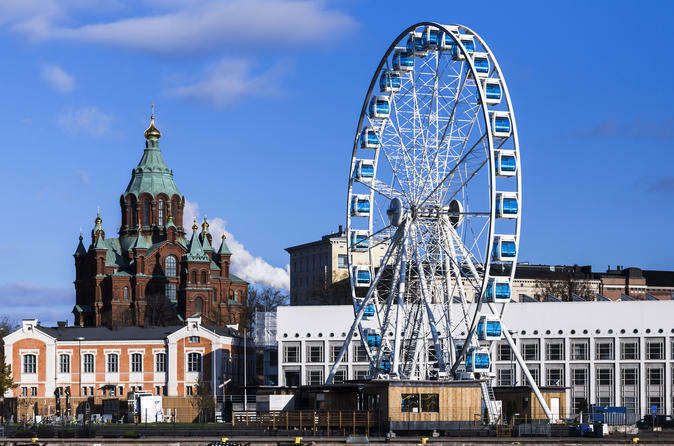 Follow your guide through the streets and parks of Helsinki, and discover top attractions such as Esplanadi, Helsinki Cathedral, the Chapel of Silence, the Kamppi Center, the Kiasma Modern Art Museum, and Uspenski Russian Cathedral. As you explore, gain insight into Finland’s colorful past. 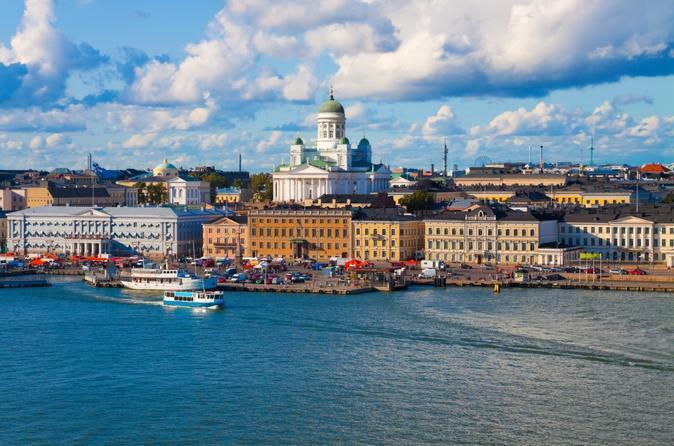 Perhaps stop at the market where you can buy local delicacies, souvenirs, use WiFi and restrooms, and see sides to bustling Helsinki that many visitors miss. This private guided sightseeing tour takes you through the main parts of the city of Helsinki, avoiding crowds and queues. The tour is specially designed for those who appreciate individual approach, quality information and flexibility. You will be offered the best city guides and vehicles to meet your expectations. Your tour can start from anywhere in the city, including your hotel or other accommodation. A 5 to 6-hour trip from central Helsinki takes you to the tranquility of the breathtaking Nuuksio National Park, a large tract of peaceful wilderness within Helsinki metropolitan area. You will travel by a commuter train and local bus into the heart of Nuuksio Lake uplands and hike in a picturesque hilly landscape of small lakes hidden in evergreen forest. 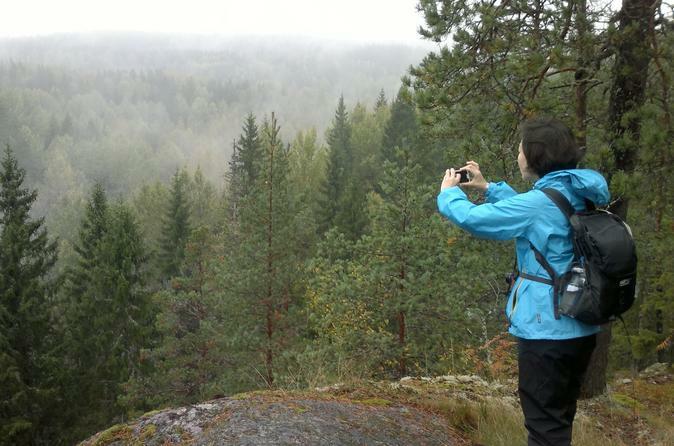 Your biologist guide will show you some of the most beautiful spots and tell you about the natural features of Finland and the park. Join this half day tour to get an insight into the history and present day of Finland's second oldest town. 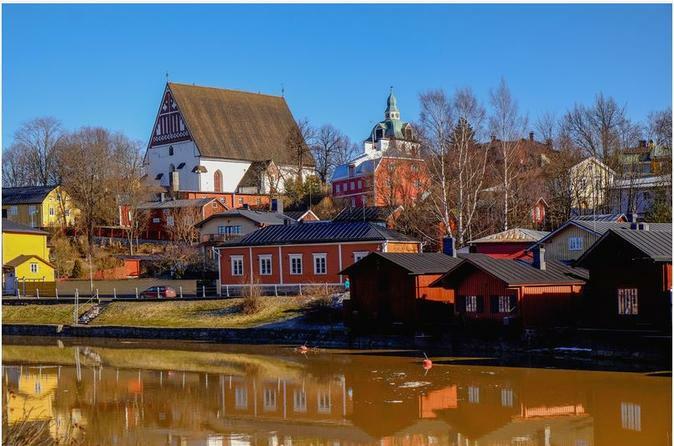 You will hear fascinating stories about people who have lived in and visited the town and have a chance to visit many of the attractions of this beautiful city, such as Porvoo Cathedral and the Old Town Hall. The beautiful city of Tallinn looks like fairy tale picture. The Old Town is so charming and medieval it makes you feel as if you have stepped back in time, colorful architecture and a labyrinth of small boutique stores selling something for every taste, such as antiques and handmade souvenirs. 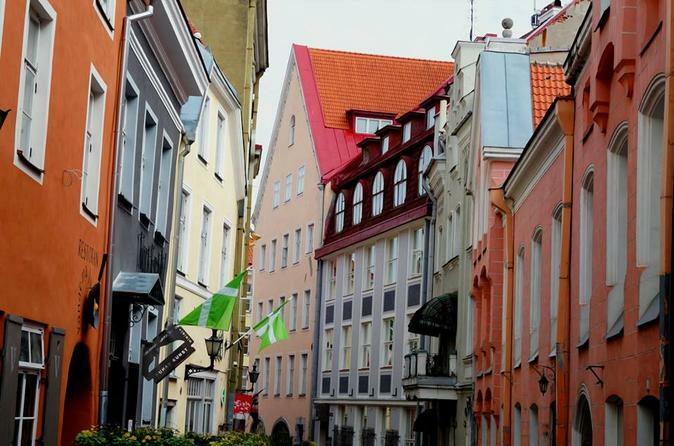 This full-day tour starts with pick up from your Helsinki hotel in the morning to see the medieval city of Tallinn. You local guide will greet you by your name on a board and take you to walking tour of Tallinn old town. After 3 hours enjoyable guided tour you will know more about this beautiful city and have tons of good insider tips for your personal time before you return to your ferry. Discover Tallinn in one day. 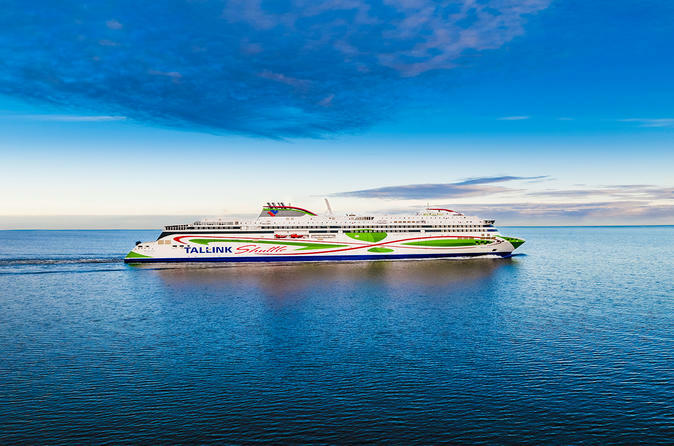 Your ferry crossing on the Tallink Star ferry or LNG-powered Tallink Megastar ferry takes only 2-hours each way and you can choose your timetable from early morning to afternoon departures. During your 2-hour ferry crossing you can shop on board or enjoy one of the restaurants. Upon arrival in Tallinn you can independently explore the Old Town, visit small boutiques, stop for a cup of coffee at one of the charming cafés or enjoy a pint in a beer cellar. Choose from multiple times for your return ferry trip. Welcome to the Helsinki city walking tour! 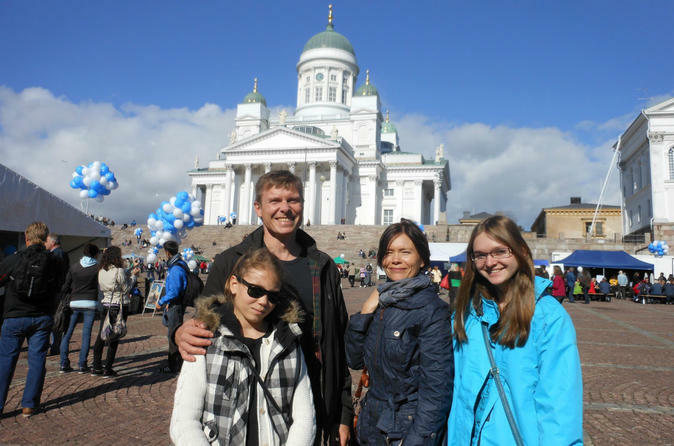 During an approximately 4-hour walking exploration of the central parts of the Finnish capital you will see the most famous landmarks, hear about life, history and culture in Finland, learn lots of things about the city, the people and the nation and simply enjoy the day and company of your friendly guide. Join the Segway Tour and experience beautiful parks, monuments and market halls of Helsinki with a local guide. Brief introductions on sites by your guide will make your tour more enjoyable, fruitful and fun. Helsinki is perfect city with well-designed and planned bike and pedestrian paths all over the historical and newly developed neighborhoods. 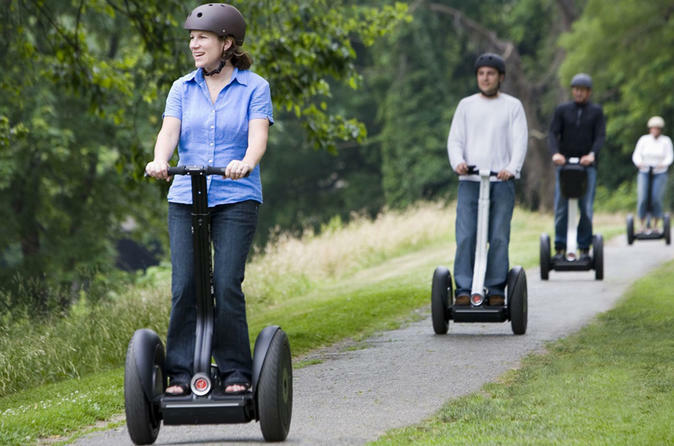 This makes Segway experience much easier, safe and memorable. Explore the most significant parts of central Helsinki and learn about the mentality, customs and lifestyle of Helsinki’s people. Your guide will take you on a relaxed, entertaining and informative small group tour through the streets of Helsinki to learn about its dramatic history, impressive sights and vibrant culture. The tour shows the best sights and highlights of Helsinki. Passengers can hop-on and off as much as they please on several stops around the city. Make the most of your Helsinki visit in 3,5 hours on this private tours that's operated with just you and your party: Enjoy a comprehensive walking tour starting from your hotel. This tour is also available for cruise ship and ferry passengers who don't mind walking and taking tram. Just choose your preferred tour start time and enjoy the sights of the Finnish capital! 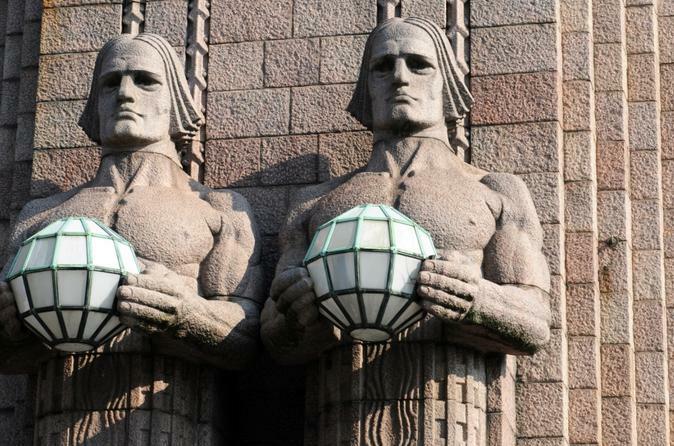 Bring your friends or family and explore the most significant parts of central Helsinki and learn about the mentality, customs and lifestyle of Helsinki’s people on this private tour. 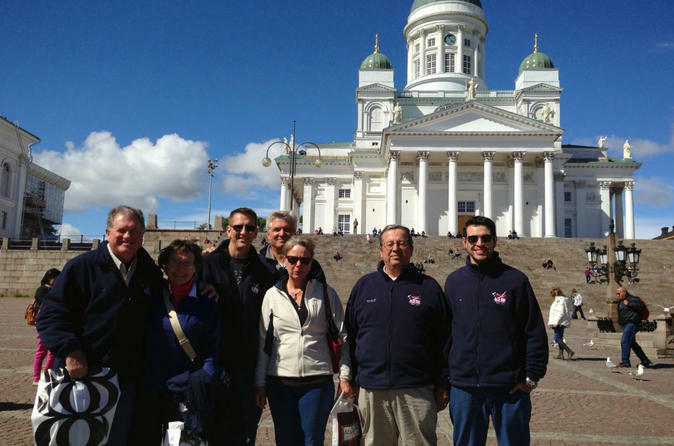 Your guide will take your group on a relaxed, entertaining and informative private tour through the streets of Helsinki to learn about its dramatic history, impressive sights and vibrant culture. Enjoy life the way Finns do and join this comfortable and relaxing small-group excursion to the beautiful Finnish nature where you have an opportunity to bathe in the original Finnish sauna. 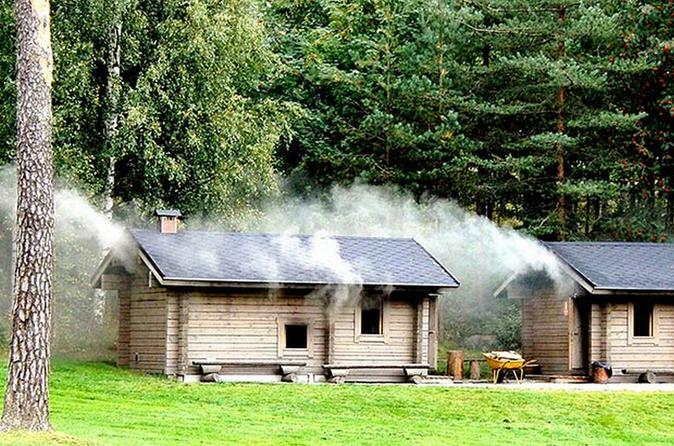 The saunas are all different and you will get to try one that introduces you to the core of the Finnish culture. Lake side sauna complex with modern saunas and traditional smoke sauna will give you great chance to meet locals and enjoy sauna same as they do. You may like to swim in the lake, do a ice dipping or snow bath depends the season. Helsinki is the culinary capital of Finland and an ideal place to enjoy the authentic local cuisine mixing elements from both east and the west. 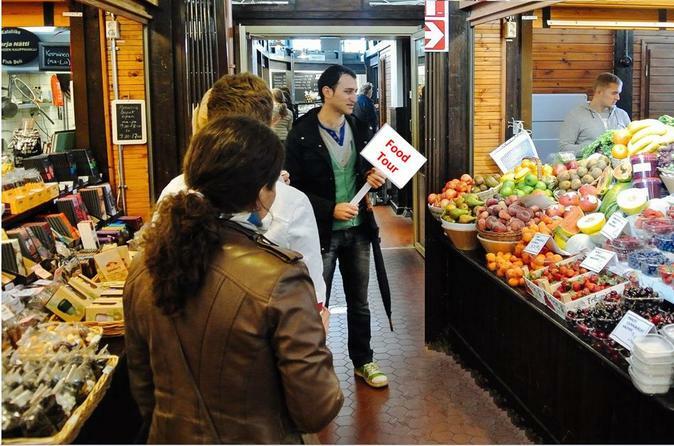 Finnish Food Walk takes you right there where the best organic and local food delicacies are. 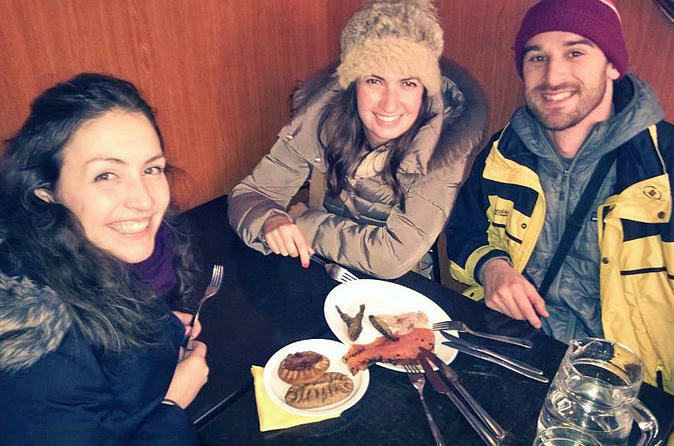 Join in to get a taste of it on a guided walk through the center of the city where you will be learning what Finnish food and culture around it is all about! 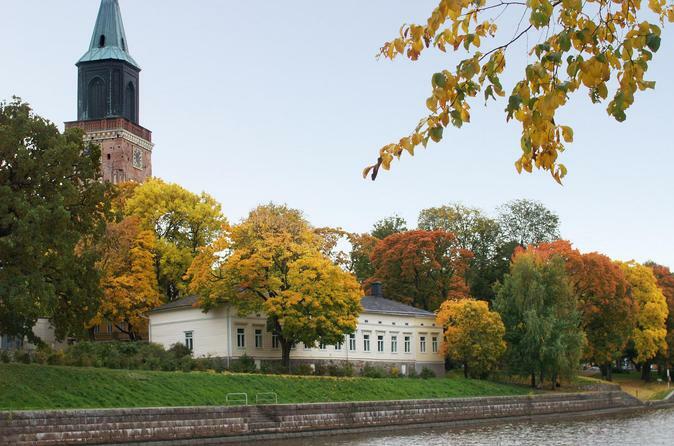 This 3-hour private walking tour takes you around the main sights of Finland's most historical city, Turku, where medieval stories meet contemporary art, alternative culture and Finnish design. Your local guide shows you the historical main sites, buildings and attractions and offers you an insight into where the local people spend time, eat and shop. Moreover, it gives you good ideas for how to spend time in the modern day Turku after your tour. 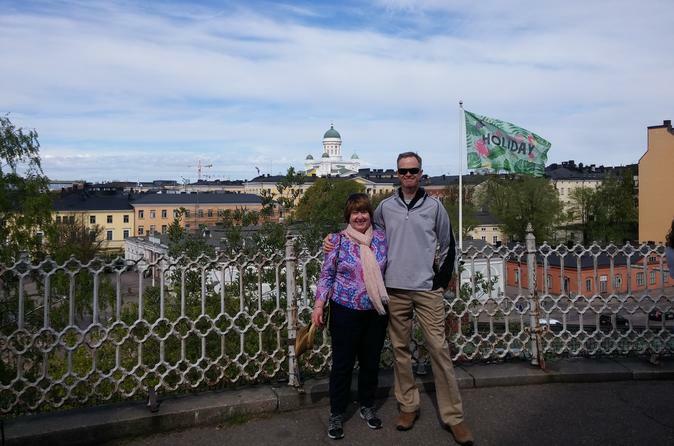 Make the most of your Helsinki visit in 3 hours on this private shore excursion that's operated with just you and your party: Enjoy a comprehensive 3-hour walking tour starting from your cruise ship or ferry. Just choose your preferred tour start time and enjoy the sights of the Finnish capital! Challenge your local guides by requesting a tour customized for your liking. Private and customized tours can be organized even at a short notice. If you have something specific or unusual in your mind, give your guides some time to organize before your arrival and the tour is guaranteed to exceed your expectations. Let’s cook up something cool together! 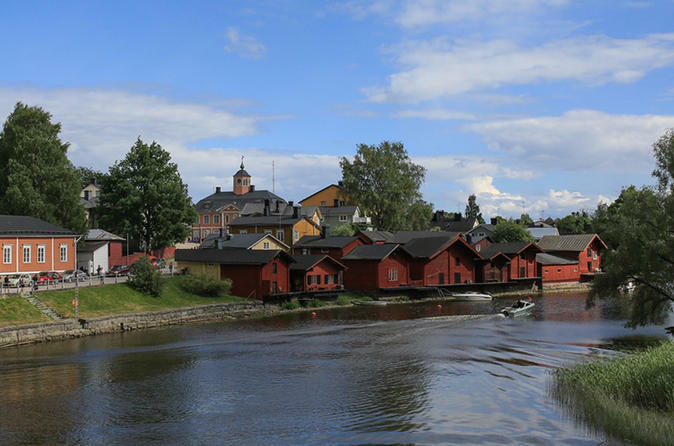 A 4-hour visit to the idyllic town of Porvoo with well-preserved wooden houses. Tour begins and ends at the Helsinki city centre. See the red warehouses on the riverbank and the beautiful medieval cathedral. A town plan from the Middle Ages, the low small houses, picturesque yards and narrow streets form a historically unique wooden town milieu. There will be some free time for a walk in the Old Town with delightful shops and artisans' workshops. Free WiFi is available on-board for your comfort. It’s time to party! Finally the best concept to meet people and get tipsy has landed in Helsinki. 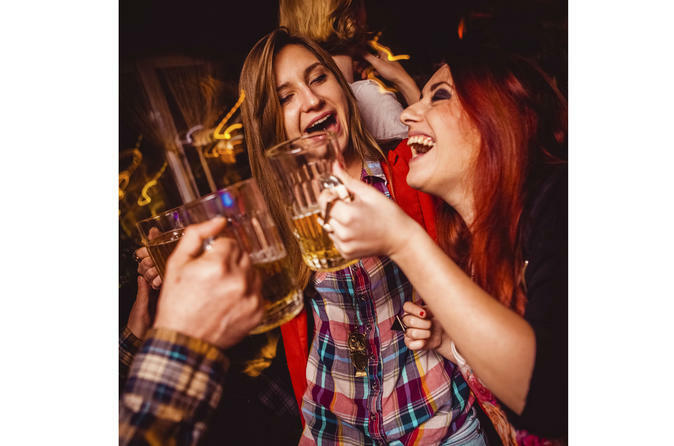 You’ll be provided a crash course on local ways of drinking and partying. 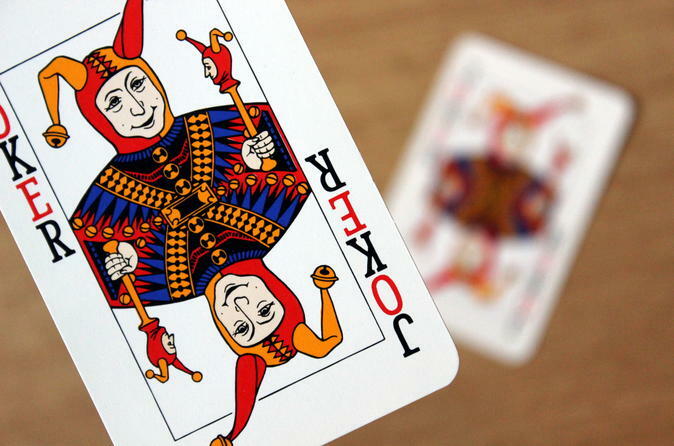 The prize includes some free drinks and all the entrance fees. On top of the usual, you are also offered a chance to experience the local karaoke and club scene.